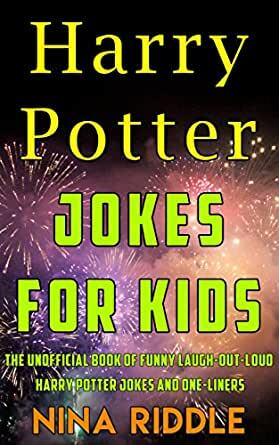 Funny Harry Potter jokes for kids ages 7-12. Written by an English teacher with a focus on word variance to help children build their vocabulary. Education AND fun! You'd be crazy not to buy it. How do turn a donkey into a unicorn? With a horserer's stone. Why didn't the ant get into Hogwarts? She was a Buggle. Where do Death Eaters go on vacation when they want to get a sun tan? Hexico City. What do you call a flattened dragon? A lizard trading card. Where do older wizards go when they want to listen to swing music with a fun rhythm? Jazzkaban. What is Cho Chang's favourite salad? Ravenslaw. My daughter wanted this, she’s eight and did not find the jokes funny at all. 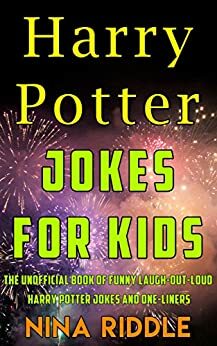 The joke was putting this book on Amazon. I was too ashamed to give it to my grand child,so I tossed it. these "jokes" are horrible. they arn't even funny! don't buy it. written by an English teacher?! i don't think so. read the sample closely, there's a misspelled word. 1.0 out of 5 starsno. just no.